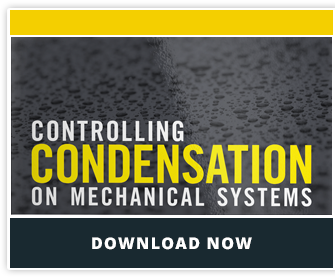 Is Your Mechanical Insulation Ready for Cold Weather? There’s a chill in the air here in Vermont, and the days are about to get even colder. Most people use this time before winter sets in to prepare their homes and businesses for the temperatures ahead—sealing doors and windows, checking heating appliances, etc. While you’re in preparation mode, this is the perfect time to get your mechanical insulation ready for the cold weather. While it’s important to execute an insulation maintenance plan throughout the year, it’s particularly necessary in the New England winter—especially if the insulation in question is housed outside. Wind gusts, snow and other harsh weather conditions can potentially damage the insulation, so it’s important to start the season off on the right foot to avoid further deterioration. Here are a few tips to keep in mind to make sure your mechanical insulation is in peak condition for the winter ahead. Mechanical insulation gets exposed to some harsh conditions, and not all of them are a result of industrial processes. Normal, everyday occurrences can cause damage. For example, consider a commercial building that has had its heating system shut down for six months over the spring and summer. It is very likely that over that there will be missing insulation on valves and pipe components when it’s time to turn the system back on. There is also the regular wear and tear that comes as a result of regular maintenance work being performed around the insulation. Workers may use insulated pipes as stepping pads, remove insulated blankets, or accidentally crush unprotected insulation. For an idea of where to start, try these 4 simple online calculator tools that prove the ROI of mechanical insulation. You could be losing energy (and money) without even knowing it. In order to be truly winterized this year, consider having an insulation professional perform an insulation energy appraisal for your facility. Energy appraisals calculate the energy and money your facility is losing with your current insulation system. The insulation professional can also point out and make recommendations for problem areas. Make the necessary repairs or replacements as soon as possible to avoid any further damage, energy loss or money loss. Any mechanical maintenance work you have scheduled for the fall or winter should, whenever possible, be performed before these repairs are made to prevent damage to newly installed insulation. Otherwise you could be encountering the same problems of wear and tear or damage that you were trying to fix.